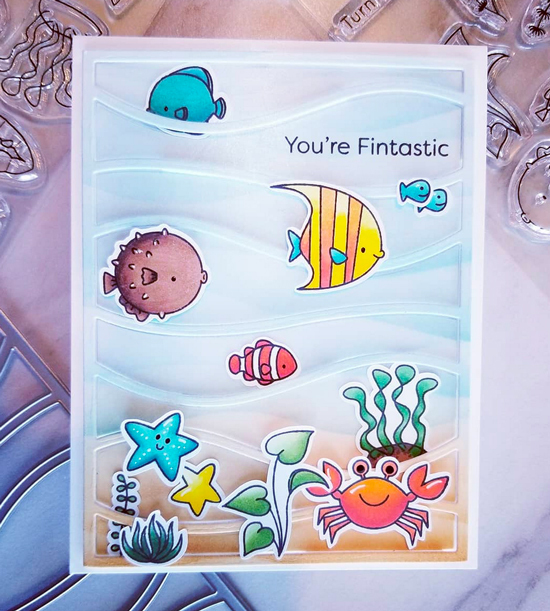 Ana created an aquatic wonderland with a gorgeous assortment of fish, greenery and even a crab. The ink blended sand and water adds realism to her scene and the addition of the Snow Drifts Cover-Up die perfectly frames her underwater landscape. 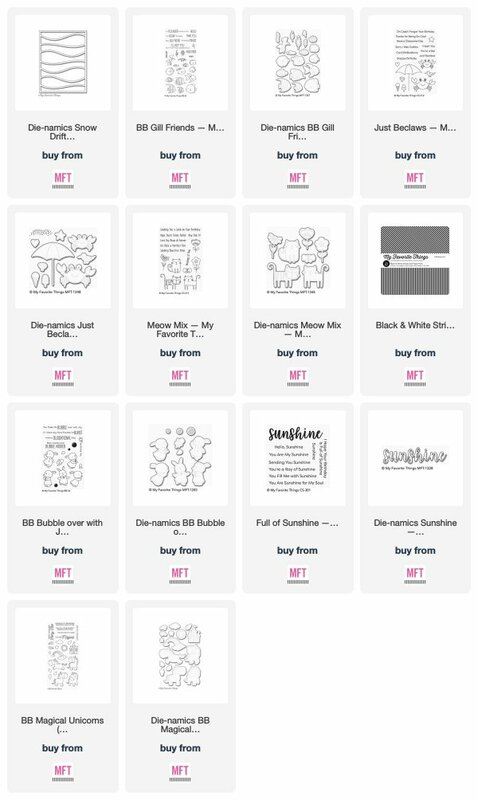 Adding black and white patterned paper to a card front is a great way to make the other colors pop and really stand out. 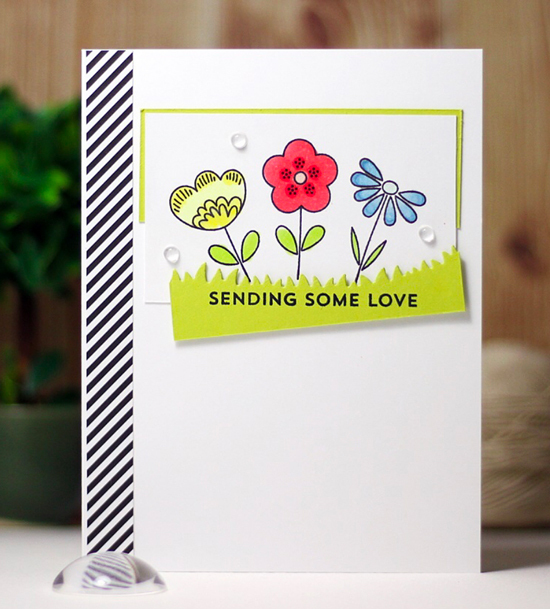 YoonYoung added a striped piece to the side of her card and used bright bold colors for her stamped flowers. We love the addition of the grass border cut slightly askew for a unique and unexpected look. 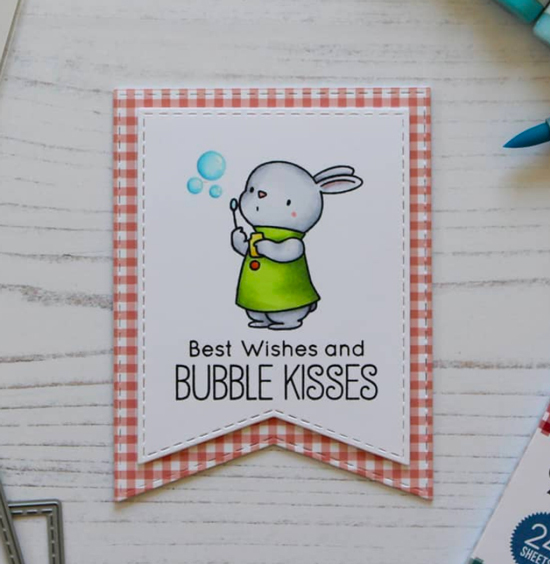 How sweet is this adorable tag that Iris created with the Bubble Over with Joy stamp set? We love the fun fishtail shape of the design and the coloring on her image is amazing - the shading on her bubbles adds so much depth and really makes them look dimensional. Adding tone-on-tone die cut words to a card base adds subtle dimension and really emphasizes the sentiment by repeating it throughout the design. 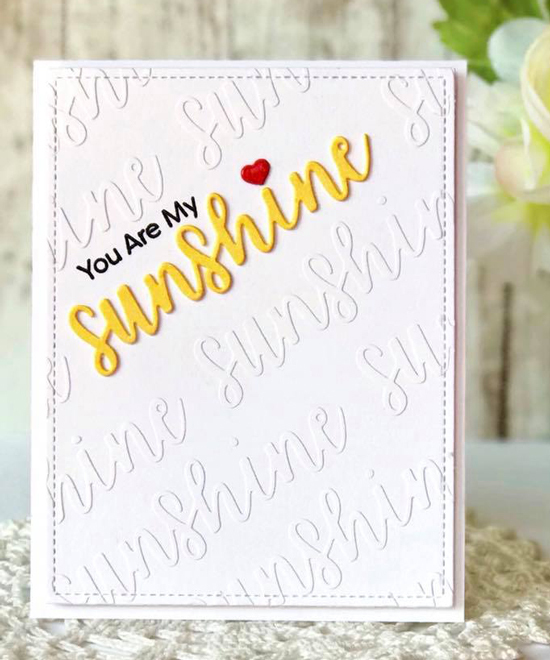 Angelica used a bright yellow card stock for her main sentiment to coordinate with the greeting and really help it stand out from the background. 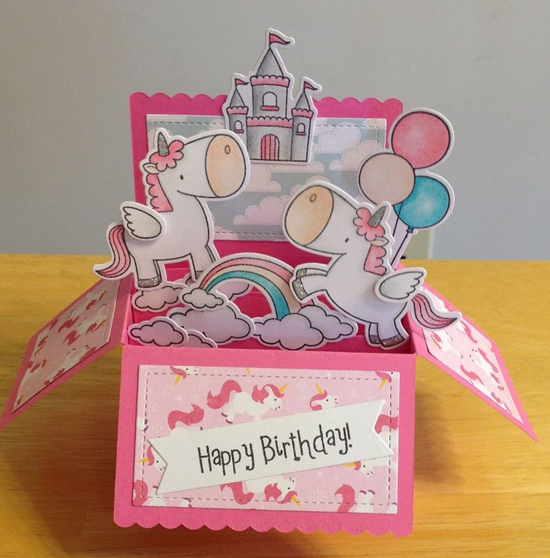 Jennifer created a box card with a magical unicorn paradise inside and we love all the dimension she added. The rainbow colors are so fun and happy and really add to the overall scene. Such a sweet birthday card that anyone would be lucky to receive. Thank you for spotting me! I’m such a huge fan of your brand!